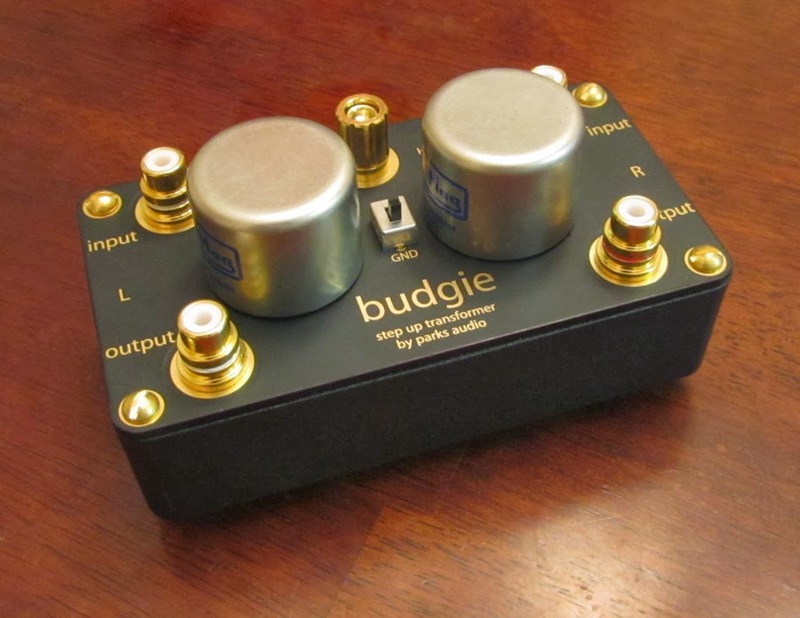 The Budgie Cinemag MC Phono Step up transformer (SUT), phew, that's a mouthful. If you haven't been initiated into the wonderful world of vinyl, or even if you have, you might not know what all that means, so I'll do a quick clarification. 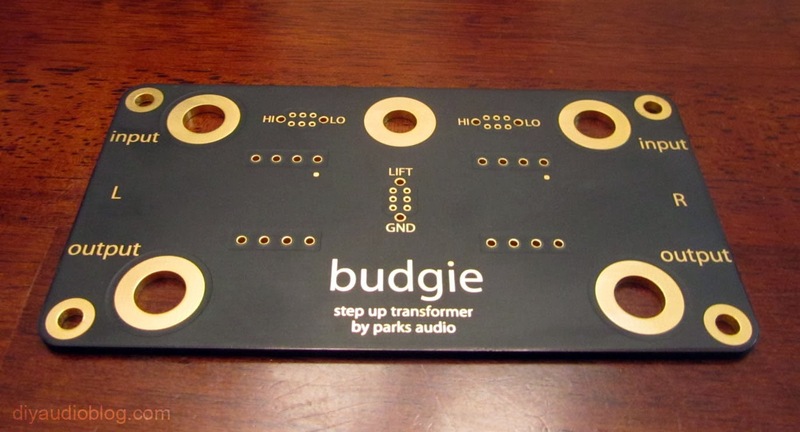 The Budgie series is Shannon Park's series of audio circuits that are designed around offering both great sound and reasonable pricing, Budgies for audiophiles on a budget. These include phono pre-amps, single ended amplifiers, step up transformers, and more. 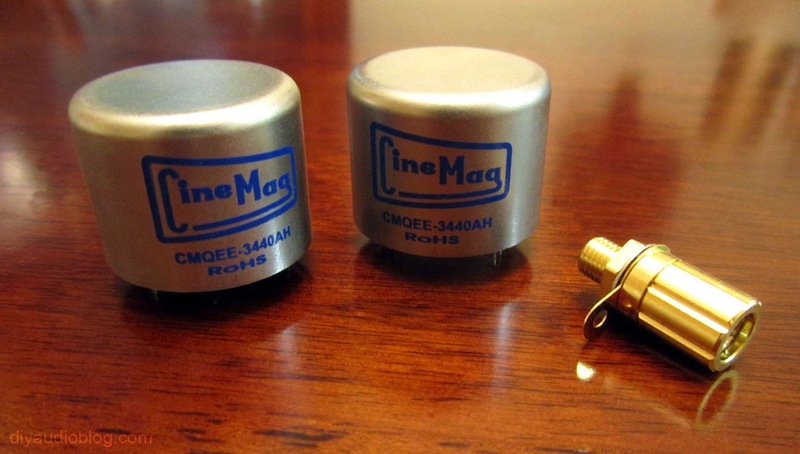 Cinemag is an american maker of fine audio transformers for microphone, phono and other applications. MC stands for moving coil. 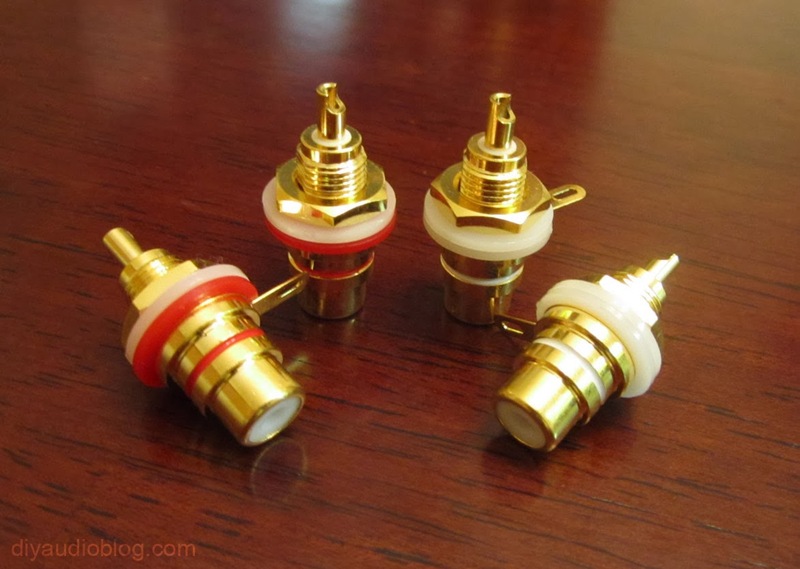 Many record players include MM cartidges (moving magnet) which have a higher (louder) output than moving coil cartridges. Many of the most high-end cartridges, as well as the immensely popular Denon DL-103, are moving coil. 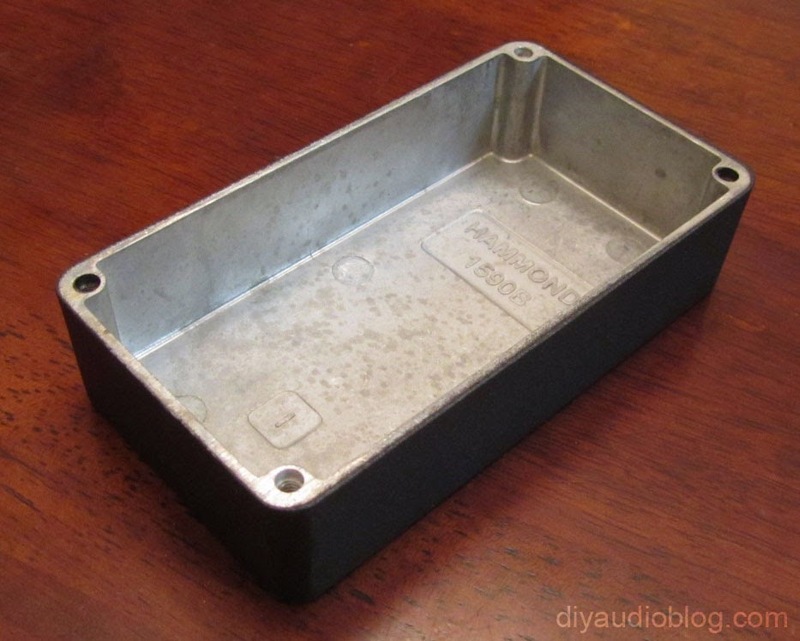 A step-up transformer, or SUT for short, is needed to bring the low output level of moving coil cartridges up to the level of moving magnet cartridges, so one can use a traditional phono pre-amp for pre-amplification purposes. The SUT is plugged in right between the turntable and the phono preamp. 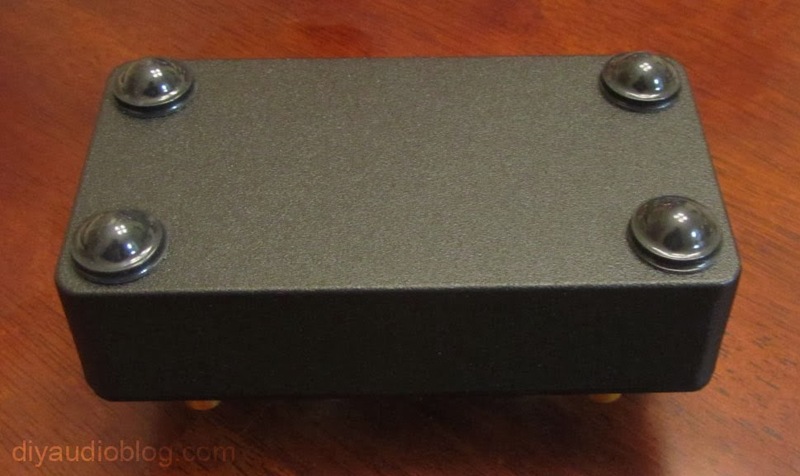 Granted, there are phono preamps with both MM and MC capability, but they're not as common as the standard MM phono pre, which many audio enthusiasts are likely to already have. 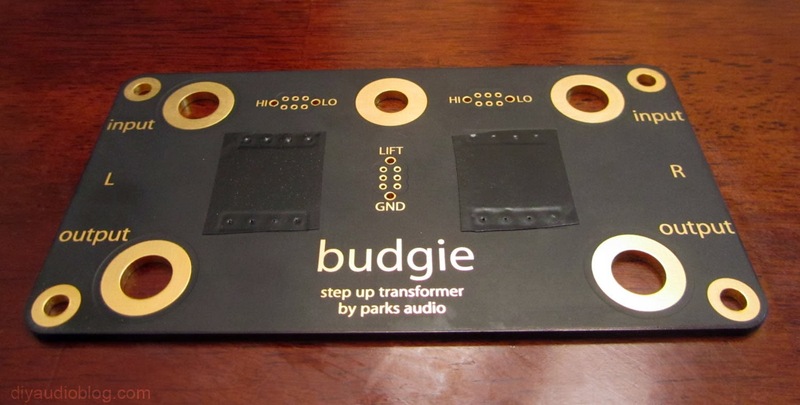 Enter the Parks Audio Budgie Cinemag SUT. If there is beauty in simplicity, this design is Kate Upton in a bikini. A pair of load switches (MC high at 141 ohm load for medium output MC cartridges and MC low with a 35 ohm load for cartridges with a low output [less than 0.2mv]) and a ground lift are the only controls adorning the unit. Other than that, you have the input RCAs, output RCAs and ground binding post and that is all she wrote. Internally simple as well, only 48 solder points are required for an operational unit, including eight for each MC transformer, eight for each switch, and two for each RCA. Only twenty or so parts are necessary, including the PCB, the RCAs, the transformers, the switches, the screws, the black aluminum box for shielding purposes, and the feet. For this particular build, I used the CMQEE-3440AH PCB version with the nicer lams. In addition to the nicer lams, I added a set of Vampire RCAs with Teflon dielectric (below) and a Vampire binding post for the ground connection (seen above next to the transformers). 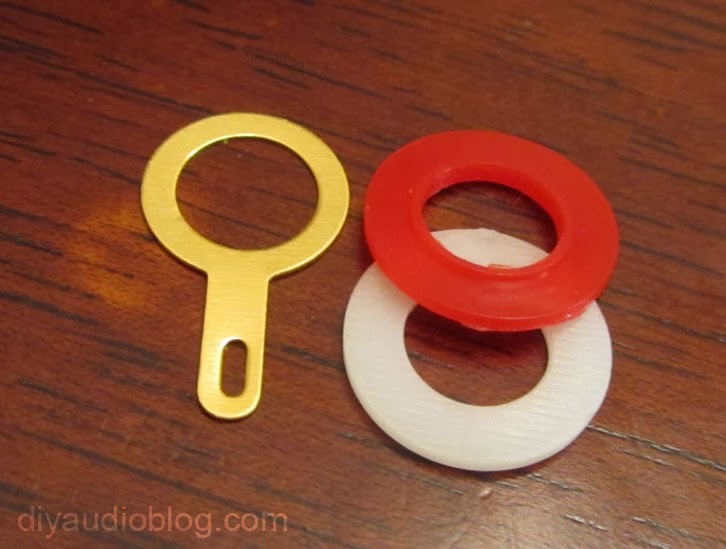 Thanks to the simplicity of this design, one won't need the little isolator rings or the ground rings that come with the RCAs, although it's always wise to save spare parts like these for later use. The RCAs (and ground binding post) will simply be screwed in the existing holes on the PCB, which effectively grounds them to the board. 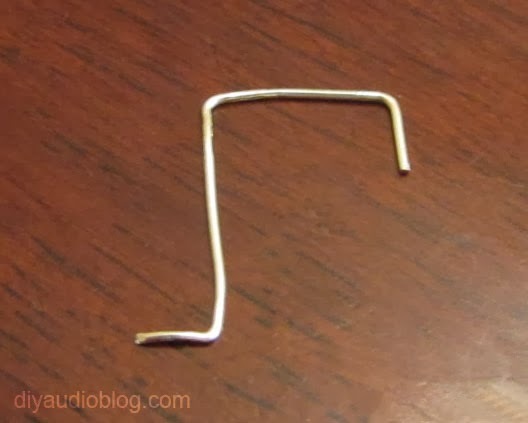 You'll need a small wire to run between the RCA signal and the solder pads on the PCB. For this I chose to use some Cardas 5Ns silver. A little bit of fashioning is necessary with a pair of needle nosed pliers for the solid core silver to give it the right form. Before soldering in the Cinemags, I chose to lay down a piece of electrical tape on the board, then poke the pins through it. 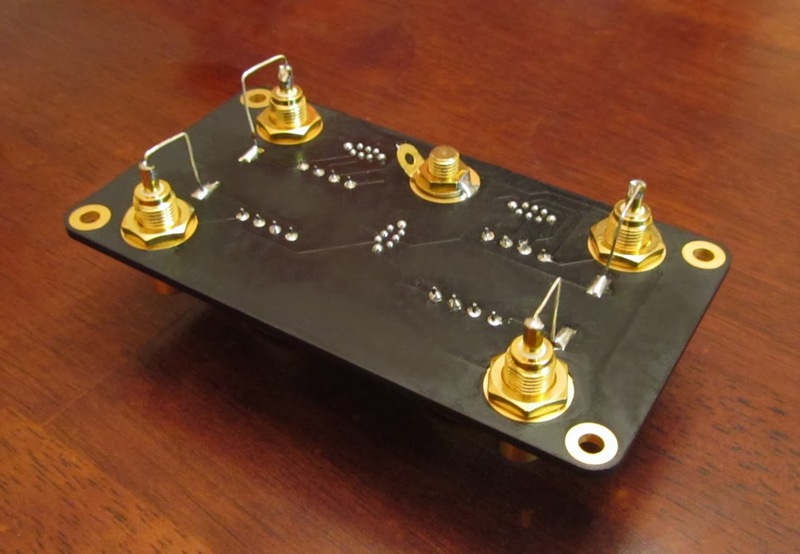 This would help ensure the solder would not leak through the PCB holes while hot and short to the transformer housing. Each of the little switches is soldered in place, and I put a dab of solder on the ground post as I didn't want it to loosen over time. The board was then cleaned up with some isopropyl alcohol and a toothbrush, followed with a few dabs of a towel (do note the black coloring on the PCB may bleed a little bit). Holding the board to the chassis are some size #8 machine screws. I went with brass to match the mostly gold look of the unit. This is a great little build from Shannon Parks and a bit more straightforward than using vintage microphone transformers or the wired versions of the "can" transformers.